We hope y’all had a fabulous start to the year 2017, and wish you all the success throughout. Here’s to starting the New Year with more of those unplanned road trips, that instill newer memories. This is a four day trip, perfect for the Republic Day weekend, where all you have to do is take an off on the Friday, and you have a long weekend to yourself to explore. One such lovely place to cover during this time of the year is Pondy or Pondicherry, otherwise known as Puducherry which is considerably cooler in January. We suggest that you go via Krishnagiri, Vellore, Kanchipuram, Chennai, and then take the east coast until Pondicherry. Bangalore to Chennai is one of the most traveled routes in the Southern part of India, the best route is perhaps the one via Krishnagiri. We suggest you leave as early as 4AM in the morning to avoid the congestion at the toll booths. Ride until Krishnagiri which will take about 2 hours 18 mins to cover 90 kms, stop at Krishnas or Mangalam or Shri Murugan Food Court to try their Idiyappam and Kurma combination for breakfast. I assure you that it will leave you energised for the whole day, while giving you a taste of the local cuisine. Then head to Vellore, where you can visit the Fort Museum, Tippu and Hyder Mahal to know about the town’s history. Next, we suggest you head to the Golden Temple and the Jalakandeshwara temple to reminisce the beautiful architecture. Do not forget to visit the Vellore Chettinad’s heritage home and savour the Chettinad cuisine for lunch, Chidambara Vilas is one such heritage home that gives you that authentic experience. Now head to Kanchipuram, which is about an hour away. Kanchi’s Ekambareshwar temple is your next destination to witness the Dravidian style of architecture. If you are interested you can also visit the Kailasanatha temple and the Sri Kanchi Kamakshi Amman Temple, which are famous for their intricate carvings and architecture as well. Once done, head to stay the night at Chennai, which is a two hour ride covering a 75km stretch. You can expect a smooth ride until Sriperumbudhur after which it might get a little bumpy. After a relaxing night’s stay at Chennai, recovering from what you can call as a hectic ride of the previous day, leave after breakfast at around 10AM to Thiruvanmiyur, via Marina beach. The ride is only a 15 km along the Marina beach, Mylapore, East Coast Road. Places you must visit include the San Thome Church, Elliot’s beach, Besant Nagar Beach, that would quench your eyes with the scenic views the East Coast of Southern India has to offer. Have a quick lunch / snack and then ride along the coastal lane through Palavakkam, Olive Beach on ECR, through Thiruvidhandai, Pattipulam. At Pattipulam stop to relax by the Tiger Caves which is on the seashore and then head to Mahabalipuram your destination for the day. The Crown Jewel of the Pallava dynasty, that has a lot to offer in terms of architecture and history. Start by exploring the Shore Temple which houses the UNESCO listed Group of Monuments, then head to admire the sculptural marvels at Pancha Rathas, Descent of the Ganges, Krishna’s butterball and the Lighthouse. If you do have time before dusk the Varaha Cave temple is also worth a visit. Another scenic ride by the East Coast to the French Quarter Start the day with moving ahead along the coast line towards Pondicherry, through Kalpakkam, Kadalur, Swarnabhoomi, Mandavai, Koonimedu, Kalapet and finally Pondicherry. At Kalpakkam visit the Sadras Dutch fort ruins, along the same line are a couple of other spots namely, the Odiyur Lake, the Alamparai fort, a little ahead of Edaikazhinadu which was ruined during the 2004 Tsunami and don’t miss the salt pans at Marakkanam. This French settlement lined by the trees on the street, with villas and boutiques painted in mustard and white, is sure to capture your senses. Take your time exploring around the French quarter, visiting cafes, the Seaside Promenade, Auroville, Paradise beach, The Basilica of the Sacred Heart of Jesus, Eglise de Notre Dame des Anges. Paradise beach is a boat ride away and the last boat leaves at 4PM, so plan accordingly. Leave the morning and head back to Bangalore, the nearest route back is via Tindivanam, Tiruvanamalai, Krishnagiri, Hosur. The route in picturesque and will leave you spell bound passing through the countryside. You should reach Bangalore by nightfall and this must give you enough time to get back to work the next morning. Remember to ride cautiously throughout ECR as the road condition isn’t that great and is accident prone, hence making a day ride safer. Alas, make sure you maintain a safe distance between vehicles, look out for each other and respect the residents in the village. Here’s signing off and wishing you all a safe ride and travel filled year ahead. 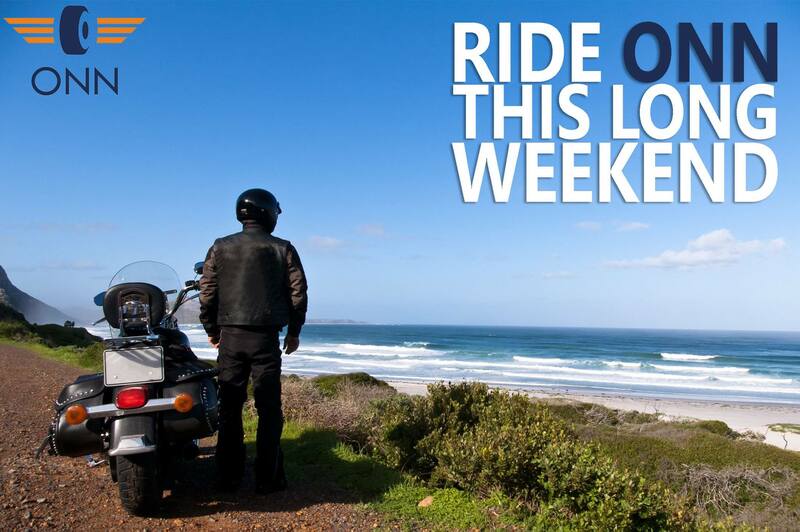 We’ll keep updating you with more travel plans, so that you are busy exploring new routes on your bike. Previous New Year Resolutions for that BIKER in you! Next 5 Reasons Riding a Motorcycle Is Good for Your Mind and Body!